Coach Yayoy was realistic. When you’ve coached basketball for over three decades, you know the odds. He knew the odds did not favor his SWU versus De La Salle Univ. True enough, in yesterday’s first quarter, SWU scored eight points against the 21 from DLSU. After a 13-all split in the 2nd quarter, it was another blowout in the 3rd: La Salle made 20 points; Southwestern only 11. By the start of the 4th quarter — the time when I arrived home to catch the final minutes — the Green Archers led by 22 points. It was game over by then. 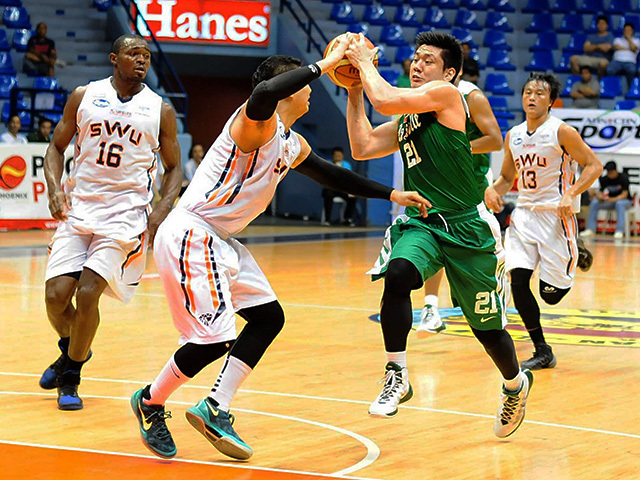 It was not until the 4th quarter when SWU played all-out, aggressive and attacking. But it was too late. They cut the lead to nine but it wasn’t enough. Final score: 64-54. Still, it’s only Game 1. There’s still today’s second encounter — a meeting the Cebuanos hope won’t be the last. If, miraculously, SWU wins to tie the PCCL Finals series, Game 3 is tomorrow. IF. That’s a big “if” we can steal one game. Actually, we did. In the preliminary rounds, we defeated the same Taft Ave.-based school. Only this time, the UAAP champions were focused and relentless. Even if we lose today, SWU will come home as proud warriors. They’ll stand tall with necks straight-up — just like a mighty cobra. These Cobras did Cebu proud. Losing finalists in a heart-breaking Cesafi final against UV here at the Cebu Coliseum, this squad was not given a chance to advance in the PCCL. That’s a witty statement from Provincial Board Member Raul Alcoseba. Sadly, they might be sent home tomorrow if they lose today. Silver in Cesafi; silver in the PCCL? We hope not for the gold-colored Cobras.